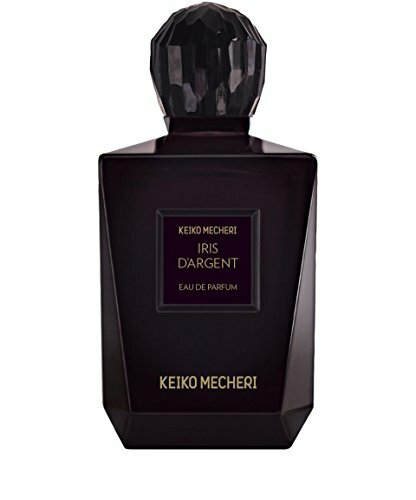 Keiko Mecheri's masculine floral scent is centered in silver: the ice cold glint of steel or the glistening filaments of a spider's web stretched taut between branches. Iris d'Argent masterfully combines delicacy and strength. A sparkling blast of citrusy floral notes introduces the fragrance, conjuring the cool heart of a bearded iris. Be careful to not label Iris d'Argent as a polite, scrubbed up scent for polite, scrubbed up men, however...when the fresh, clean introduction subsides, the powdery, earthiness of a finely plumed creature begins to open its wings, transforming the fragrance into a multilayered, nuanced composition. A subtle note of cedar wood enhances the balsam character and strikes a classic chypre chord, which quietly provides the backbone to the scent. Brighter than a dime and drier than gin, Iris d'Argent is a thoughtful and complex masculine fragrance that is only strengthened by its inherent fineness.